Bowls are mainly turned with the wood grain running perpendicular to the lathe axis (side grain) but they can also be turned with the grain running parallel to the lathe axis (end grain or parallel grain) so the grain orientation is the same as would be used for spindle turning. Bowls turned side grain from wet timber will distort and become oval as the moisture content reduces. For this reason, bowls are usually turned in two stages. Initially they are rough turned to leave a wall thickness of approximately 10% of the bowl diameter and once dry enough, turned again to the final thickness. At the rough turning stage, it is advisable to aim for a consistent wall thickness to promote even drying. Drying should be done gradually to prevent cracking due to uneven moisture content. Any defects in the bowl, such as knots, bark inclusions etc. will increase the chances of the bowl cracking as it dries so more care will be needed in drying bowls of this nature. I would err on the side of caution when drying timber because doing it too quickly is likely to lead to a lot of cracked bowls and wasted wood. For end grain turning, the bowl is simply a section of a log. Due to the grain direction being through the wall of the bowl, there would be less strength than the equivalent side grain bowl. However, for most decorative bowls, strength is not usually one of the requirements so this can be overlooked. If end grain bowls are not turned with thin walls, there can be a tendency for them to split, especially if the whole log section is used to create the bowl. For side grain turning, which is more common with bowls, the piece of timber can be taken from different sections of the log and the orientation of the growth rings can give differing visual effects. 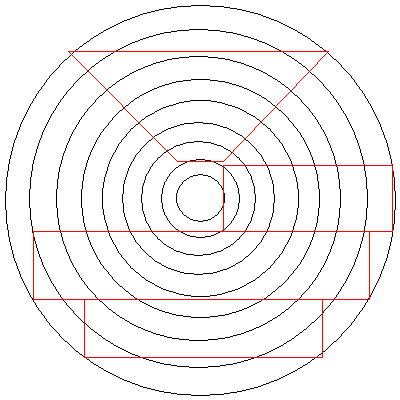 For bowls cut from a board, the origin of the board within the log determines the orientation of the growth rings, as shown in the diagram below. 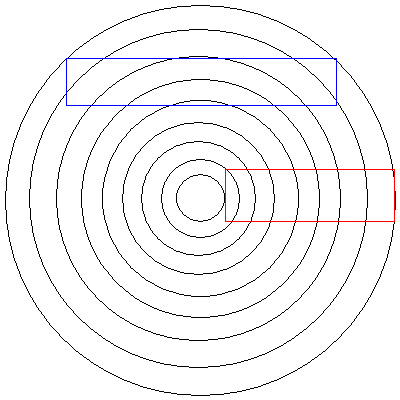 The way up the board is used will also affect the visual appearance of the growth rings within the bowl, Unless the section is like the one represented by the red area on the diagram. This is known as quarter sawn and is effectively symmetrical in terms of bowl orientation. Timber such as oak and plane show interesting markings where the wood surface is aligned with the medullary rays (which are radial and at right angles to the growth rings). In a quarter sawn bowl, the markings would be in the bottom of the bowl and possibly around the rim. For bowls blanks cut directly from a log, there is more choice of the growth rings orientation within the bowl.